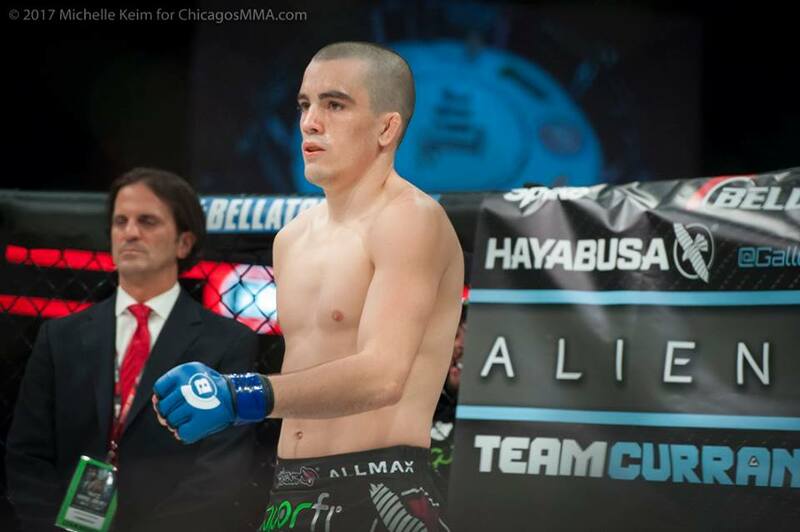 Bellator 175 pre- and post-lim fights were filled with Chicago-area fighters. They made their gyms, teams, families, and cities proud. Here are all the videos of the local fights, as well as brief breakdowns of the dark matches that were not shot. The photos are all courtesy of Michelle Keim. 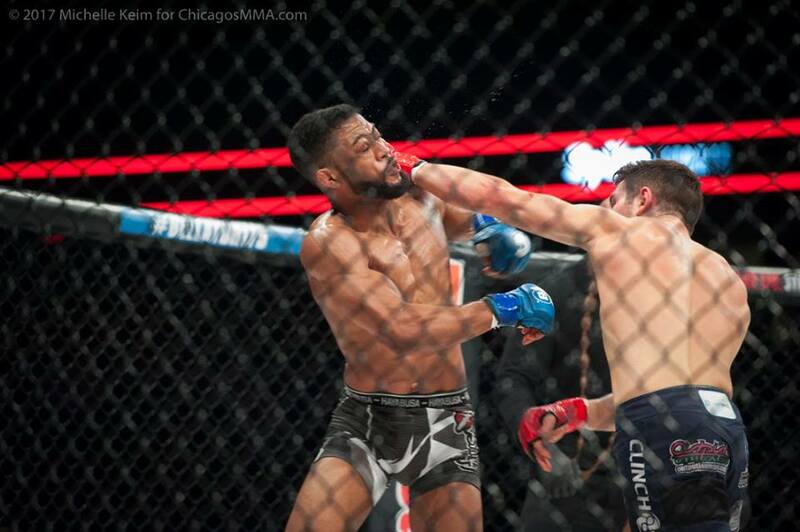 It’s always fun to watch Tom Shoaff and Damian Norris fight, but unfortunately, someone had to take the loss. 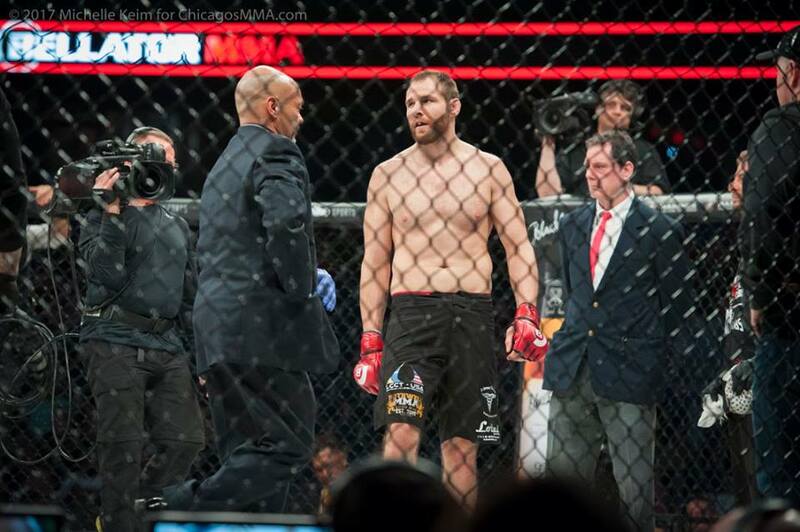 So much happened in this fight that a mere recap with words doesn’t do it justice. Relive it here. What an amazing battle between two of the area’s best light-heavyweights. 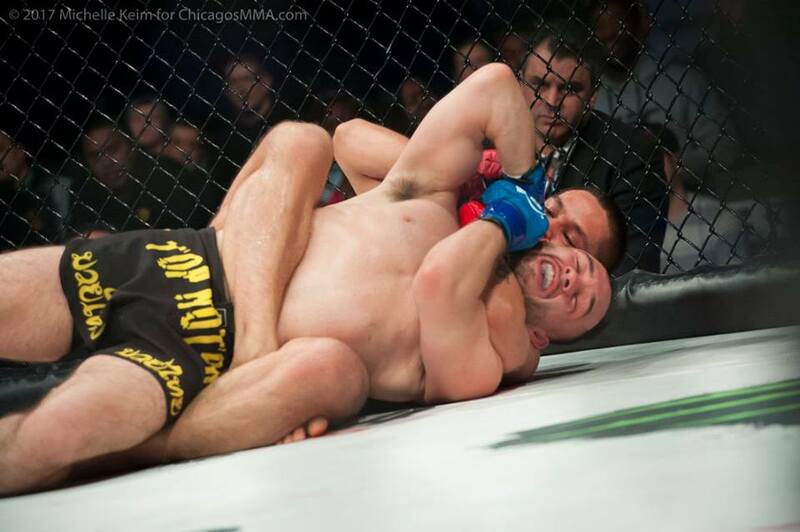 Paul had a tight scissor choke but Bochnovic survived and when Paul went for an armbar he ended up on bottom where he showed good defense then attempted a triangle. But Bochnovic broke it, took his back and choked him out. A thrill ride of a fight. According to Vazquez it wasn’t his best fight, but if you can control your opponent’s back for over six minutes through the first two rounds you are dominating the fight. Cho got the early takedown and he was super-sticky, spending a lot of time in top position in round one. Hardwick went for a jump knee in round two, but Cho caught him and put him flat on his back, then delivered a barrage of strikes that almost finished him. Cho scored an effortless takedown in round three then proceeded to pound on Hardwick again until the ref finally stepped in to wave it off. Fantastic performance by Cho. Holder slipped in round two and Streacker pounced, hammering with right hands until Holder got to full guard. A Holder elbow got Streacker’s attention and he popped to his feet. Holder got up with some blood on his face. Holder went for a takedown at end of round two and as the bell sounded Streacker landed a shot and Holder yelled at him. Streacker came out in round three with hands low and he was getting a bit showy but he was labeling Holder, who was on his horse. Holder shot for one last takedown attempt and landed a few shots but the bell sounded. 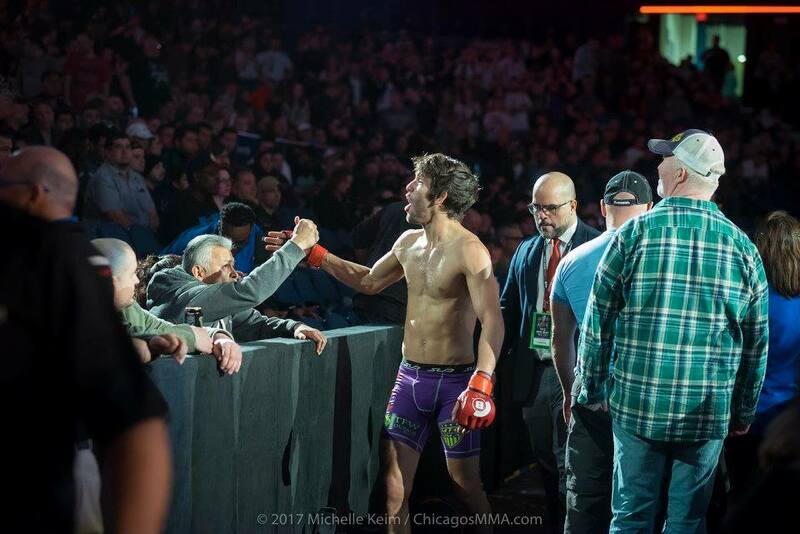 Streacker was confident he won and took a victory lap around the cage and acknowledged his fans. He did take the decision. 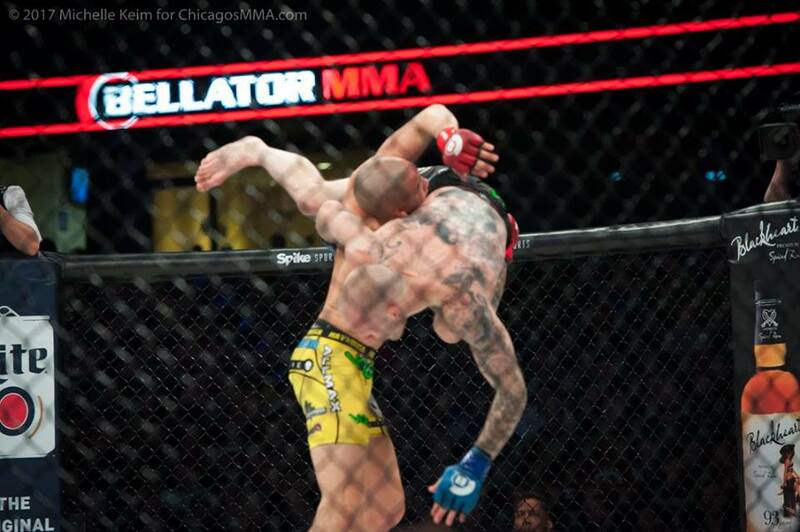 Galloway caught a Garcia kick and tried to sweep his leg, got him down then finished him quickly with a guillotine choke. Quick work by the Team Curran pro. Akins was very poised and won the striking battle early. 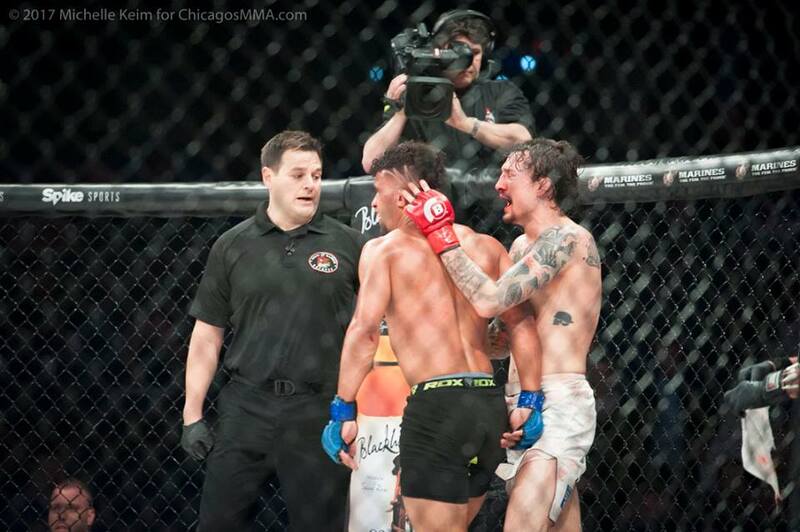 He got a takedown and bloodied De La Viega’s nose then ended round one with a flurry after blocking a high kick. Akins definitely won round one. De La Viega got a takedown early in round two but Akins was able to get up without receiving much damage. De La Viega landed a nice combo and then another takedown, finishing off a very solid round. A scramble in round three left De La Viega on top. Akins was active from guard and delivered some elbows from bottom. Akins stunned De La Viega with a right hand at the bell, but De La Viega’s wrestling was too much and he earned a win via split decision. 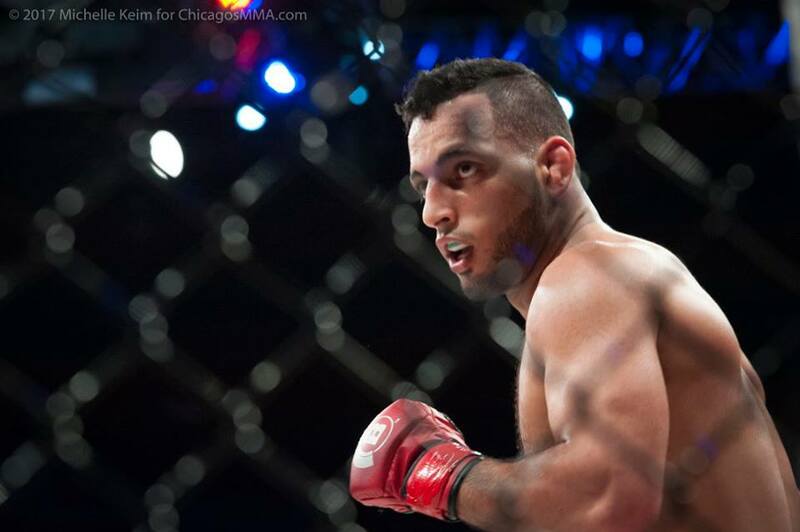 Askar worked a takedown immediately and wasted no time delivering his first elbows as a pro. Esposito was able to sweep and got up, but Askar scooped him up and put him down again. He held Esposito’s arm down with his knee then tried to pound him. He switched it up and caught a choke and got the tap but Askar held on a bit too long and Esposito took exception. The fight was over but it almost continued until officials were able to simmer the situation. The commissioner spoke to Askar about the infraction as he left the cage, but while she was talking to him he stopped to pose for a picture with her. She walked away shaking her head a bit but it was a hilarious moment. Shelhart landed an early knee when Fuentes went for a takedown, then a Shelhart right hand dropped him. Fuentes got up and Shelhart delivered another knee but Fuentes was able to survive and start some of his own offense. He landed a nice combo and did a nice job of getting in and out and it turned out to be a competitive first round. 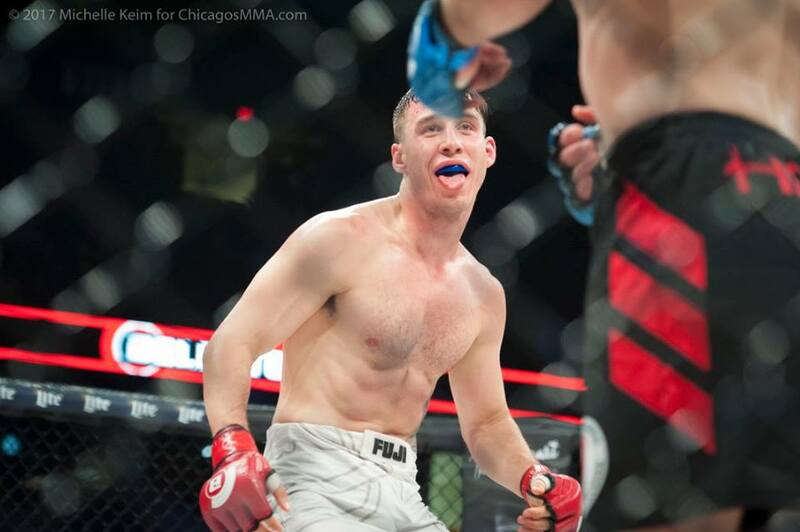 Shellhart landed first in round two, then scored a takedown and finished the fight from there with a choke.